This is the second in a series of three articles discussing benefits, incentives and candidates for Employee Stock Ownership Plans. This article focuses on Iowa and Nebraska ESOP formation incentives. The first article focused on federal tax benefits, and the third article will identify characteristics of companies and owners that are possible candidates to consider an ESOP. Both Iowa and Nebraska have laws that favor creation of Employee Stock Ownership Plans ("ESOPs") and sale of company stock to ESOPs. These advantages, when combined with significant Internal Revenue Code incentives, may make ESOPs very attractive to companies and to significant owners looking to sell company stock, reward valuable and loyal employees, and create an on-going legacy in the form of a locally owned and managed business. This article describes some of Iowa’s and Nebraska’s ESOP formation/stock sale incentives. Iowa and Nebraska have taken different paths in promoting of ESOPs. Iowa has recently enacted legislation that promotes the creation of ESOPs. Nebraska provides additional tax benefits from the sale of stock to ESOPs. Iowa has recently enacted legislation encouraging the formation of ESOPs by amending the definition of personal taxable "Net Income" to exclude 50% of the capital gain realized from the sale of an Iowa domiciled commercial corporation’s shares to an ESOP created by the corporation if the ESOP owns at least 30% of the corporation’s outstanding shares after the sale. This Iowa tax benefit is in addition to the possible federal tax benefit described in our previous article. This tax exclusion is not a temporary economic development program, but has been made a permanent part of Iowa’s tax code. • The applicant must state its reasons for its interest in establishing an ESOP. • The company must be (or will become) an Internal Revenue Code subchapter C or subchapter S-corporation. • There must be a valuation of the company (applicants with less than $5 million valuation are generally not considered feasible candidates for an ESOP). • The employer must have a payroll that makes it appear that it will be able to support an ESOP (applicants with less than 25 employees are generally not considered feasible candidates for an ESOP). • There must be an anticipated cash flow to make the ESOP feasible (applicants with a cash flow of less than $500,000 are generally not considered feasible candidates for an ESOP). • The company is not a retail business. • The company’s stock is not publicly traded. study subsidy, the company must not have completed a prior feasibility study and, if a feasibility study was contracted for before July 1, 2013 but not completed, a copy of the engagement letter must be provided to the Iowa Economic Development Authority. If the applicant’s request for feasibility study assistance is accepted, the assistance is provided in two tranches; the first 25% of the cost is paid at the time of the completion of the feasibility study, and the second 25% upon completion of the ESOP’s formation. Note, the income tax benefit to a seller is not contingent on the company qualifying for feasibility cost assistance. Nebraska recently improved its long-time incentive (originally part of LB 775 in 1987) that affords Nebraska residents with a one-time exclusion from gross taxable income for capital gain realized from the sale of the taxpayer’s employer’s stock if the stock was acquired while the taxpayer was an employee or an account of the taxpayer’s employment with the company. The statute requires that in order for the sale to qualify for the exclusion, the company must have at least five unrelated shareholders. The five-owner requirement has created a problem for some sellers and for participants receiving and selling stock for a company that is 100% owned by an ESOP (or owned by an ESOP and less than four other unrelated shareholders) because, under federal law, an ESOP is treated as a single shareholder. Federal law permits states to adopt a different definition of number of shareholders when it comes to ESOPs, and that’s what the Nebraska legislature did. Effective for 2014 and following, Nebraska statutes now provide that each participant in an ESOP is considered a separate shareholder. Therefore, participants receiving stock distributions from ESOPs who elect to sell their shares, and other shareholders selling employer stock when there are very few shareholders other than the ESOP, will be able to take advantage of Nebraska’s capital gain exclusion from taxable income. This change further enhances the benefit on the formation of and sale to an ESOP where the ESOP is an (almost) exclusive owner or upon a distribution and sale of stock received from an ESOP. This favorable Nebraska income tax treatment is in addition to the federal tax benefit discussed in the first article in this series. Koley Jessen P.C., L.L.O. has a long and proud history of helping companies, shareholders, lenders, and fiduciaries in all phases of successful evaluation, design, implementation, and on-going administration of ESOPs. 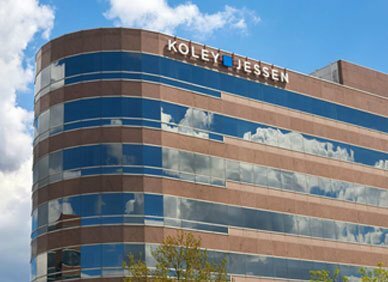 Koley Jessen is a nationally recognized leader in employee benefits, fiduciary guidance, labor, and tax law. Attorneys in the Firm’s Employment, Labor and Benefits Practice Group advise businesses, governments, and nonprofit/tax-exempt organizations on a wide variety of retirement plans, health and welfare benefit plans, non-qualified deferred compensation, and equity based compensation arrangements.